Today dawns early for the Prospero Family, Fortuna is very demanding of her parents time and attention. Plus both Rosabelle and Pawel seemed to be getting sick yesterday. Fortuna wakes up screaming early in the morning, she must be hungry. Pawel wakes up to the noise and bottle feeds her. Apparently Rosabelle sleeps like the dead. After he eats, he waters their garden. It looks like his rash from last night has gone away. Yay! Afterwards Pawel goes back inside to browse art on the web for inspiration before going to work. While she is eating her breakfast, they get a notification that is it Fortuna’s birthday today! 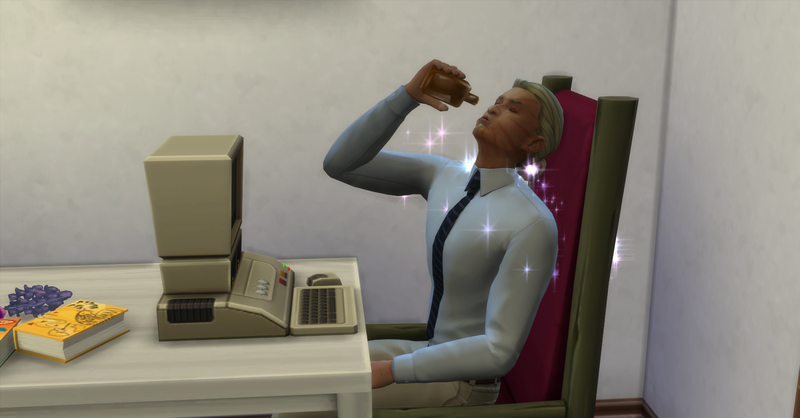 Today’s report arrives, funds are now §37,595 simoleons. 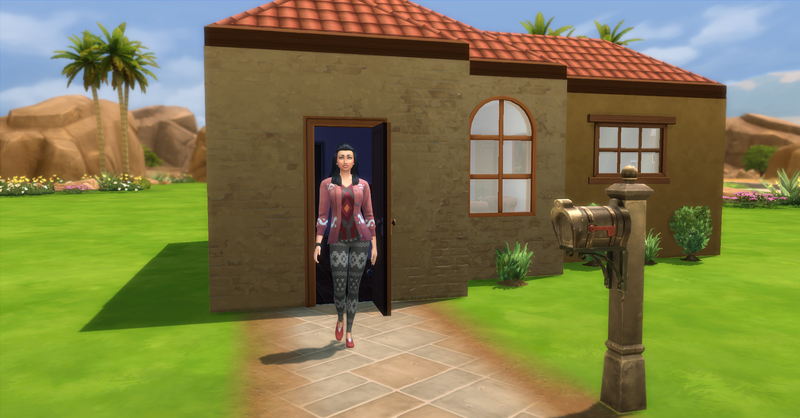 The sink breaks when Rosabelle washes the dishes so she repairs it and gets 2 common upgrade parts. 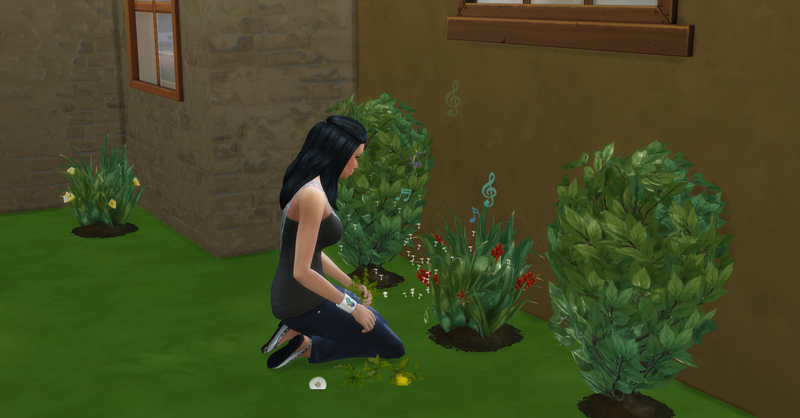 Afterwards, Rosabelle goes to weed and tend the garden. 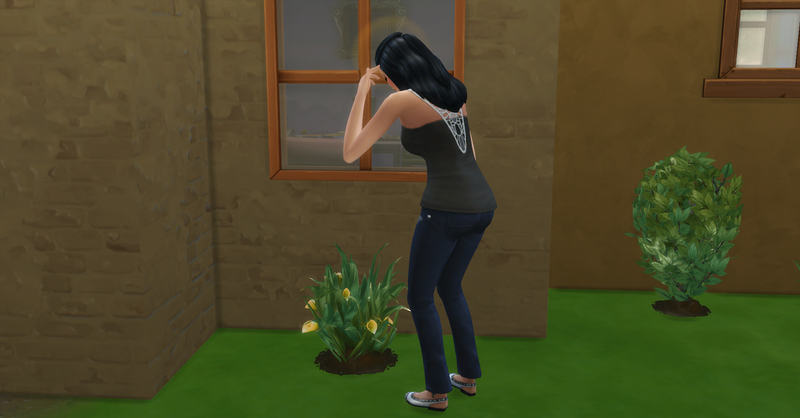 Her head begins pounding while she is tending the lilies. 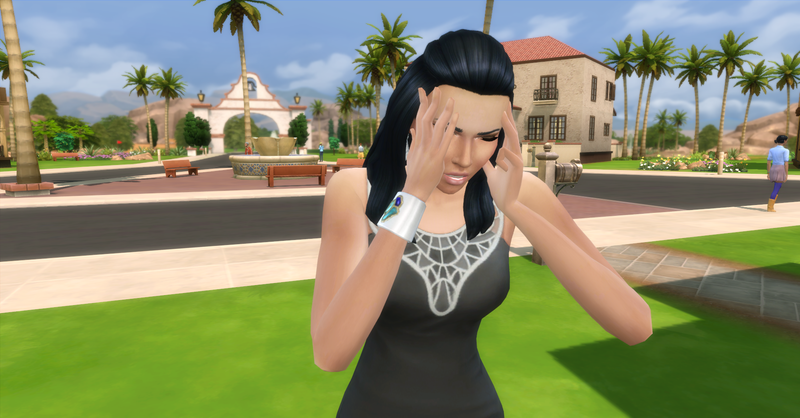 And Rosabelle has a horrible headache. Yep, she is definitely sick. She is tense from being sick so she tries to read for fun and relaxation before she needs to go to work, but that isn’t helping much. Rosabelle heads off to her first day back to work from family leave, yesterday was her day off so she had two days off actually. She also doesn’t have to wear a uniform to work anymore. 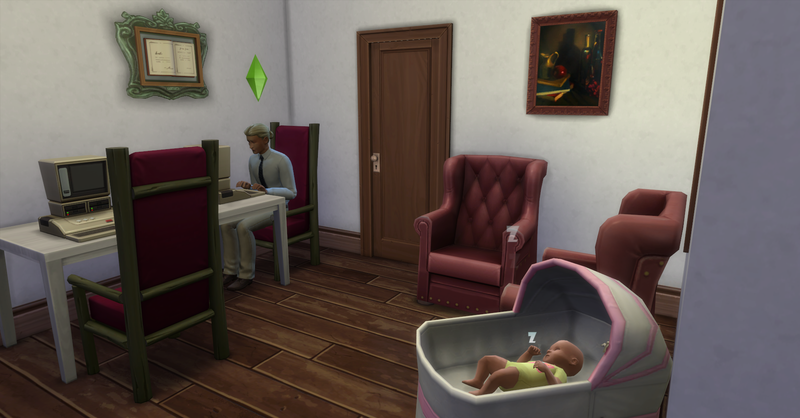 Fortuna goes to day care while both Rosabelle and Pawel are working during the day. 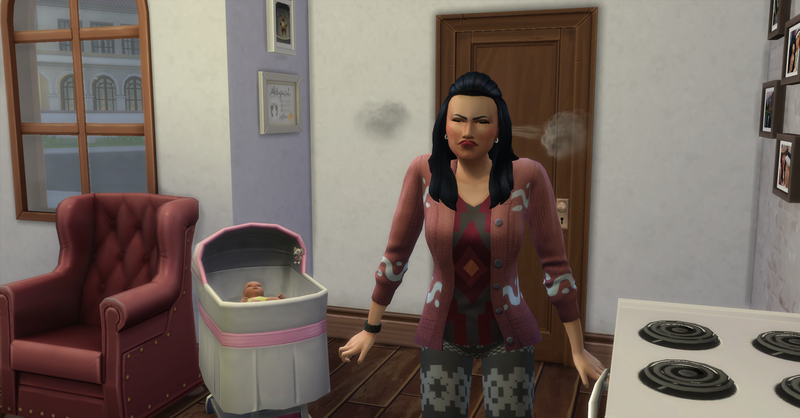 Pawel come home from work with §400 simoleons and he collects Fortuna from the Day Care Center. Their funds are now §37,995. He is feeling tense and stressed from work so he reads for fun for a while. 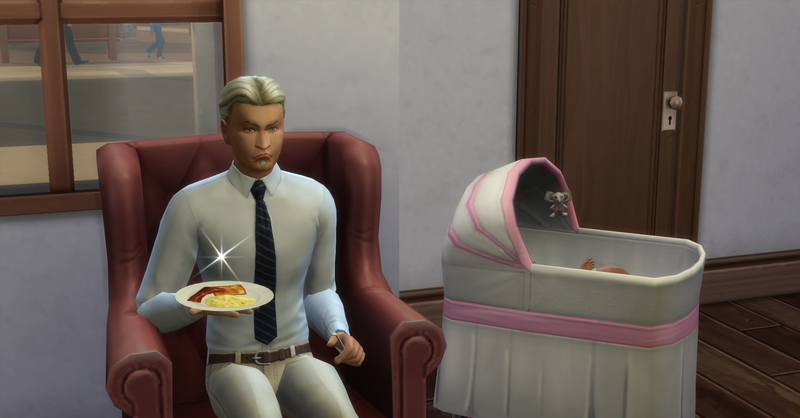 The baby starts crying so he feeds her. Afterwards, he has some dinner and is still feeling very tense. After Pawel eats he is still very tense and he won’t be able to start a new book like this so he tries calm himself down in the mirror. After he is calm he starts a new book, this time it’s a screenplay called Injure Will. 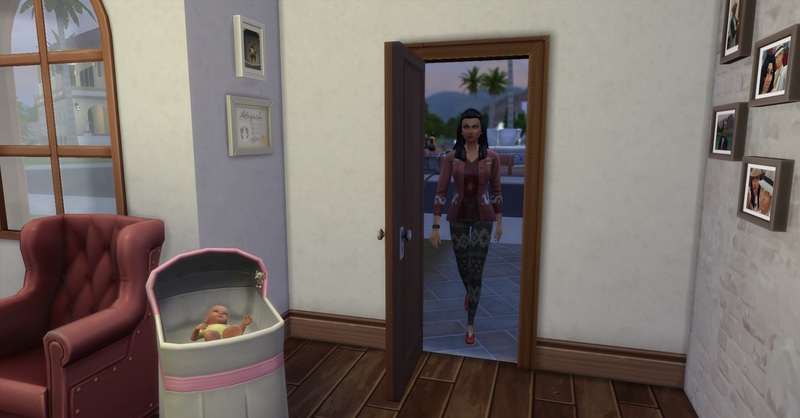 Rosabelle gets home from work with §480, funds are now §38,475 simoleons. Rosabelle is feeling very tense from work and being sick. Pawel is also sick as it turns out, his rash has come back. 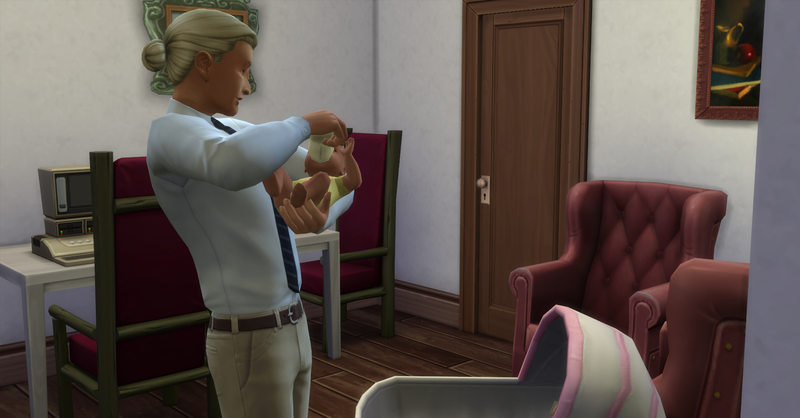 Since they are both sick and it is effecting their work and money earning abilities, not to mention the extra energy they need to care for their daughter, they decide to buy medicine for themselves which costs §100 simoleons. 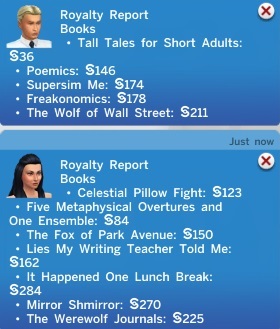 Their funds are now §38,375 simoleons. 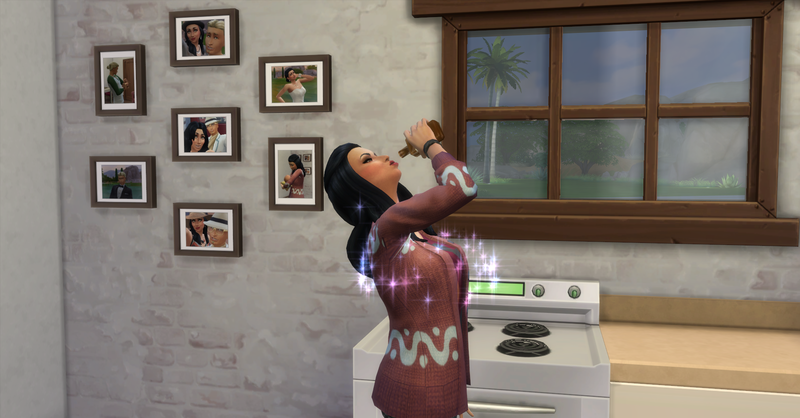 Rosabelle takes the medicine and is cured! Pawel finishes his screenplay and sends it to the publisher for royalties. 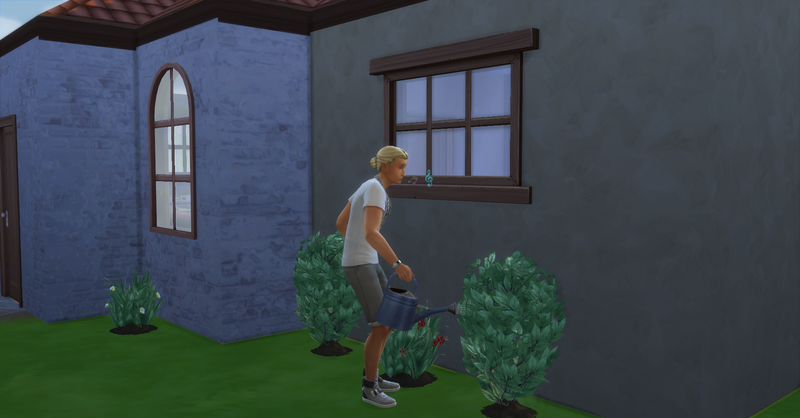 Then he goes to tend a few plants in the garden. Afterwards he starts another screenplay called Death of a Simian. 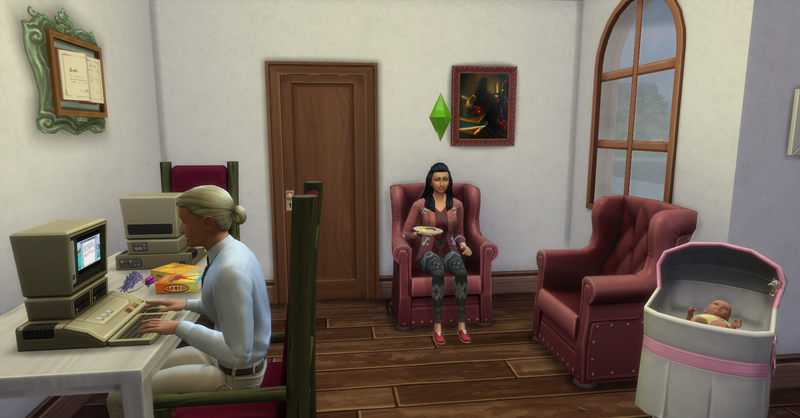 Rosabelle eats some dinner while he works. 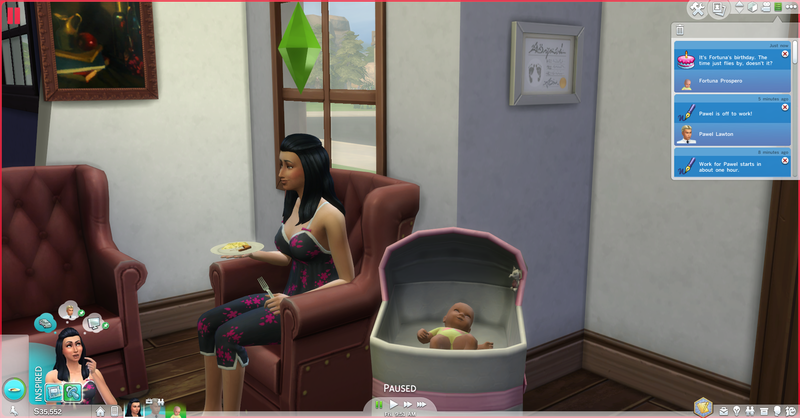 After Rosabelle eats she breast feeds the baby and heads for bed herself. It was supposed to be Fortuna’s birthday today but she hasn’t aged up yet. Both parents are tired tonight, but not tired enough to not enjoy some fun together! They’re really making a lot of progress. 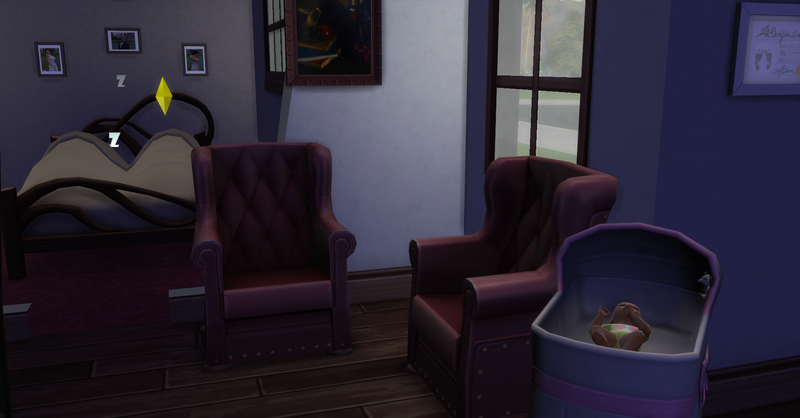 It would take my sims two generations to acquire that much money in family funds but that is probably because I like to buy them stuff to make their homes look nice which ends up carrying up the bills and leaving them with little household funds once they pay it. LOL. I guess frugal living does pay off in the end. They are almost 4% in towards hitting their goal. Yes they are! They have made amazing progress in my opinion. I too like to build large houses and live in luxury usually. This frugal lifestyle is completely new to me and very satisfying to play!